WELCOME HOME TO THIS MOVE-IN READY UNIT. A great find in Uptown Charlotte! Incredible views of uptown (downtown) Charlotte. The Fourth Ward Community offers convenient, affordable uptown living. 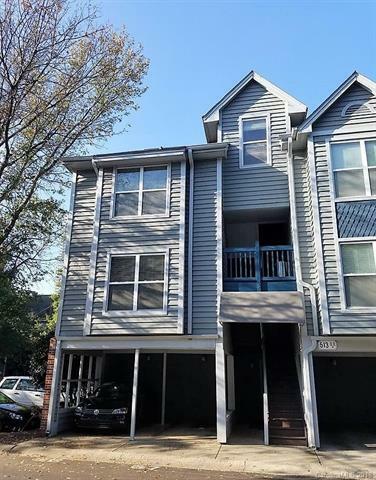 This spacious, bright 2-bedroom, 2 bath, end unit (One of four top floor two-bedroom end-units) features upgrades such as hardwoods, granite counter tops, lighting, stainless steel appliances, new paint, new carpet, new HVAC, dedicated covered parking space, fireplace and more. Experience the charm of the Fourth Ward and the convenience of uptown walking to restaurants, entertainment and football games. Appliances convey. Fourth Ward Square also has a pool, fitness center, grills, fire pit and a recreation area. Pre-installed Google fiber-optic cable and internet available! Priced to sell. Offered by Nagy Properties. Copyright 2019 Carolina Multiple Listing Services. All rights reserved.